Baublebar is having an up to 30% off sale with code STOCKUP30 when you purchase 3 items or more. How cute are these earrings and these! Sale ends this weekend. Check out more of my picks below. J.Crew has 25% off select full price items and sale items with code SUMMER. Sale ends on May 20th. What a fun dress to wear and I love it paired with the wedges! Really pretty dress and photos! Your dress is so fab! Love the sandals you've paired with it too! 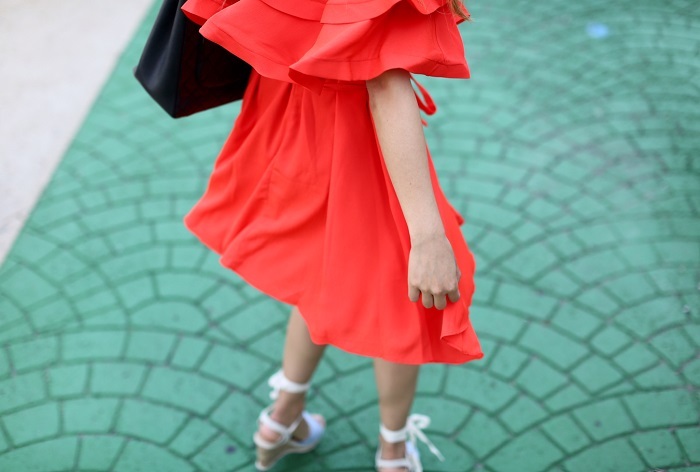 Love this look, red looks amazing on you! That dress is so cute! I love the bright color!